The first program in the Chin Na DVD series. Chin Na is the art of joint locks and manipulation of acupuncture cavities. Chin Na speed and power training are included. Learn fast and powerful joint locks to control any opponent. Chin Na (Qin Na) means Seize and Control. This ancient Shaolin art is the study of controlling an opponent through joint locks and acupuncture cavities. Chin Na is part of almost all Chinese martial styles, and it can be a valuable addition to any other martial system. This video is the first in Dr. Yang, Jwing-Ming's extensive Chin Na video series, and provides an excellent overview to the art of Chin Na, beginning with the essential Chin Na speed and power fundamental training routines. Dr. Yang and senior student Ramel Rones demonstrate over 125 Chin Na techniques and applications close up, in slow motion and at regular speed, showing subtle variations for these effective techniques, which are introduced in the following categories: Finger, Wrist, Elbow, Shoulder, Neck, Waist, Leg and Takedowns. Easily integrated into any martial style, Chin Na is the root of the more modern grappling arts of Aikido and Hapkido, and it is often trained by military, security and law-enforcement personnel worldwide. Fundamental Chin Na Speed and Power Training Routines. Learn to control an opponent with a turn of the wrist. Over 125 Chin Na techniques and applications. 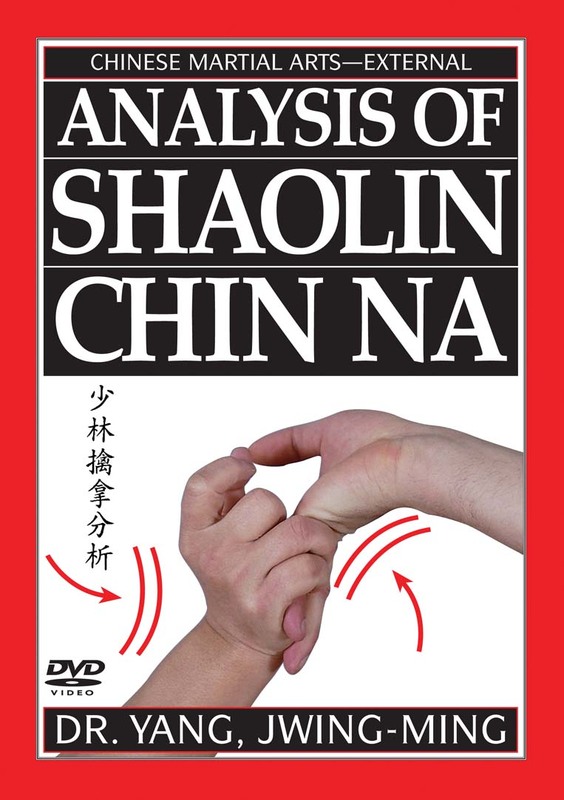 Technique numbers in this DVD are the same as in the best-selling book "Analysis of Shaolin Chin Na 1st Edition" - Technique numbers do not match the 2nd Edition of the book.